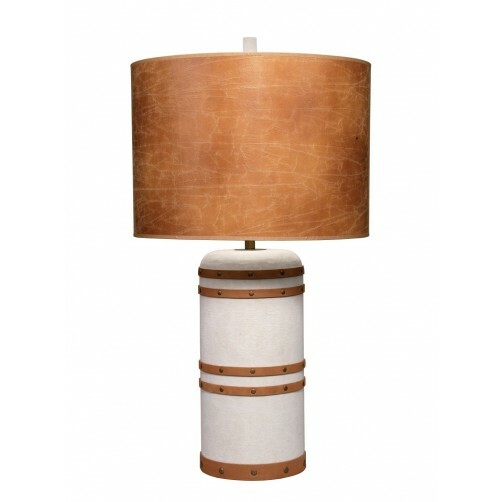 Inspired by a Western aesthetic, this Americana style wood table lamp exudes luxury and adds a warm touch to many decors. 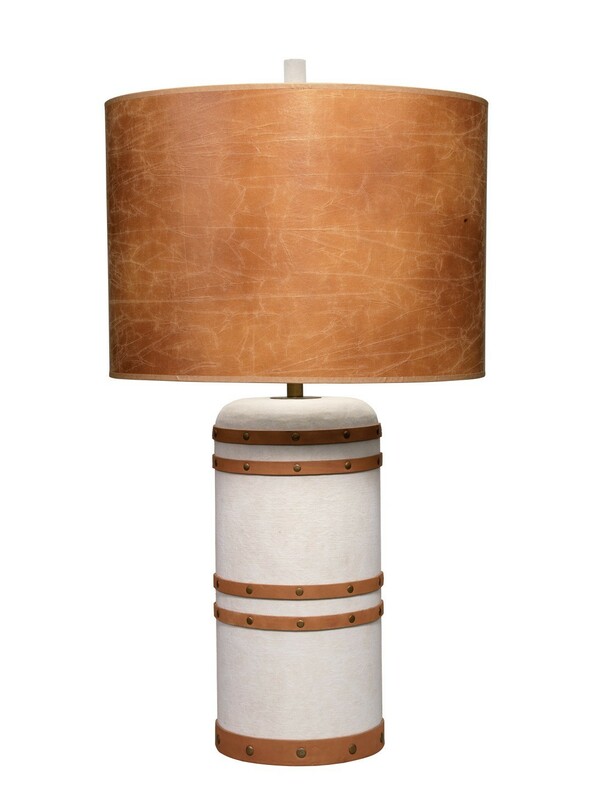 A mix of rustic and country styles, this wood table lamp has a soft white vintage canvas, brown leather detail and small stud accents (natural imperfections will occur in vintage canvas). 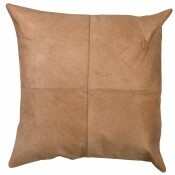 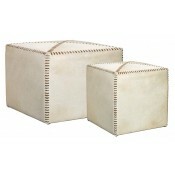 A leather drum shade in a soft brown color completes the look.